Claiming home office tax deductions was once considered a great way to treat yourself to an audit. Thankfully the IRS has simplified the rules and home office deductions are more common and simpler to claim than many people realize. Good thing too, as the number of people working from home has grown exponentially over the last decade. If you’re a small business owner who could be taking this deduction but you aren’t, you’re missing out on a great money-saving opportunity. That said, there are still some pitfalls, so here are the ins and outs of claiming home office IRS tax deductions. If you also pursue a hobby in the space, say scrapbooking or pottery, the space no longer qualifies. If you let someone else in the family use the room for some other purpose, it no longer qualifies. If the space doubles as a guest bedroom, it no longer qualifies. Again, the key is 100% dedication of the space to your business. You can take a personal call or chat with a family member in the room, but the frequency of these interruptions must not be greater than in a normal business office. The space must be the principal place of business OR a place where you regularly meet with customers/clients. You can work from more than one place and so long as you use the space in question for managerial and administrative activities, it qualifies. And it is a given that the address of your home office space would be registered as the business headquarters with tax authorities at all levels. The space must involve active use. If you are a passive investor in stocks or real estate, you aren’t running a true business and the deduction is disallowed. So if you have determined that you do meet the qualifications above then there are two ways to go about claiming your home office deductions. 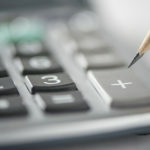 Percentage of home: The most precise way to calculate your deduction is to figure out the percentage of your home that is used for your business. One way to do this is to measure your home office square footage and find what percentage it is out of the total square footage of your home. So for example, if your home office is 200 square feet and your home’s total square footage is 1,900 square feet then the percentage of your home used for your business would be 10.5% (200 ÷ 1,900). Another method that is a little simpler is if all the rooms in your home are roughly the same size you can just divide the number of rooms you use for your business by the total number of rooms in your home. Simplified rate per square foot: In 2013 the IRS created a simplified method for claiming home office space. This method just takes a prescribed rate times the maximum allowable square footage. For example, in 2016 the prescribed rate is $5 and the maximum allowable space is 300 square feet so the simplified deduction would be $750 (300 x 5) at most. This difference is much like the standard mileage rate (with which most of us are familiar) and actual vehicle expenses (which many are not) options for business use of a personal vehicle. To determine which one is best for you, calculate the benefit of both for the tax year and claim the one that provides the biggest deduction. Direct expenses: Any money you spent to repair or maintain this space (think new windows, paint, etc.) can be claimed. Indirect expenses: A percentage of any amount of the money that you spend maintaining your entire home can be deducted. For example, if you use 10% of your home for your business, you can deduct 10% of your utilities, homeowners insurance, new siding, etc. 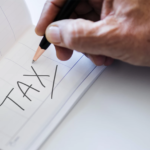 Interest & property taxes: Mortgage interest and property taxes are deductible expenses and because business expenses reduce self-employment income, they can also reduce your Social Security taxes. Rent or depreciation expense*: If you rent your home then you just claim the same percentage of your rent as deductible as you do for the other deduction areas. If you own your home then you can depreciate the business space at the allowable depreciation rate. *If you sell your home at a profit, you will have to pay capital gains tax on your accumulated depreciation deduction. Since home prices tend to rise over time, many filers decline to take depreciation expense. Because of all the things that potentially go into the indirect category, that can be the largest source of deductible expenses and make the percentage of home method the more generous overall. For this reason, many filers claim the home office deduction using the percentage of home calculation even though the rate per square foot method is much simpler. It really all comes down to if you truly have a dedicated space in your home for you to conduct your business. In this day and age home offices are quite common and you shouldn’t hesitate to or worry about claiming the expense if you meet the qualifications. 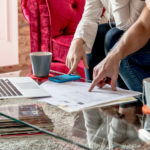 The IRS allows these deductions for a reason and home-based businesses should take advantage of every possible savings. Of course, the ultimate arbiter of all things tax-related is the IRS. Read the agency’s general guidance on the home office deduction and more detailed instructions for claiming business use of your home. To claim this deduction, you’ll use Schedule C and/or Form 8829, Expenses for Business Use of Your Home. Jacob Dayan is partner and co-founder of Chicago-based Community Tax, a national provider of tax resolution, tax preparation, bookkeeping and accounting services. He previously worked on Wall Street as an options analyst and as a foreign exchange trader. Jacob holds a Bachelor’s degree in Business Administration from the University of Michigan’s Ross School of Business.